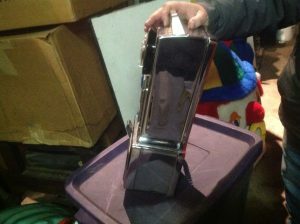 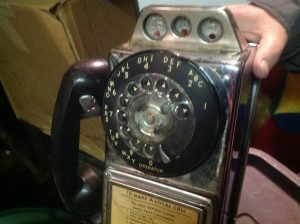 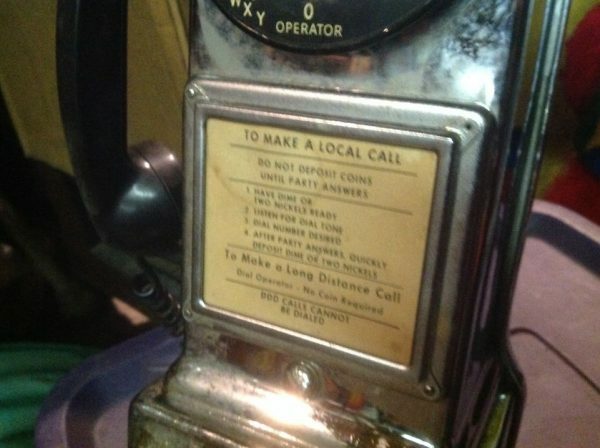 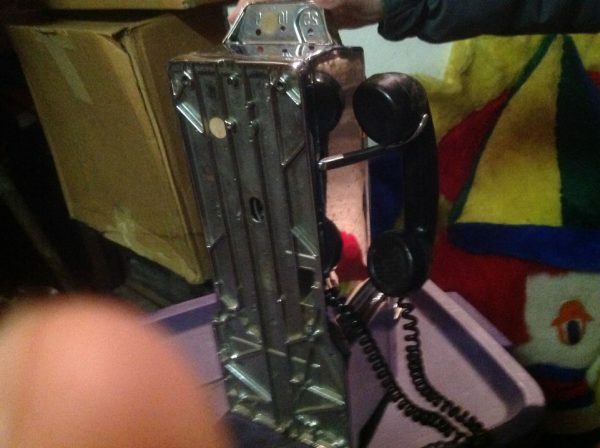 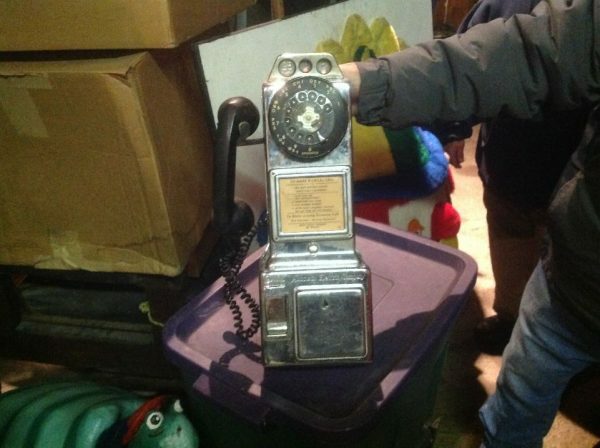 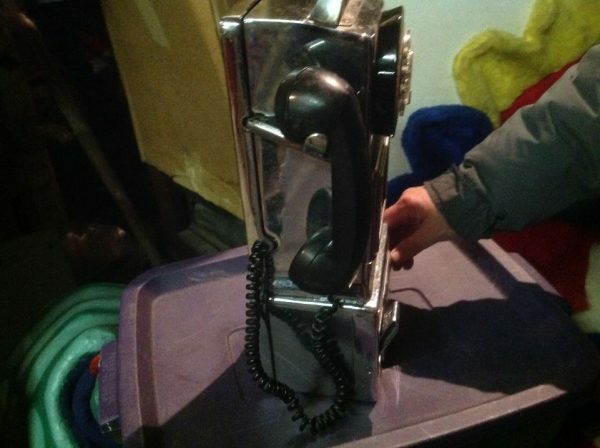 1950’s mid-century chrome pay phone in as found condition. 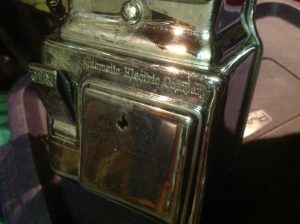 Looks to be complete with the exception of a missing lock. Chrome should polish up beautifully……….